The wall of the ductus deferens has a well-developed muscular layer that nevertheless cannot be divided in an internal circular and external longitudinal layer. 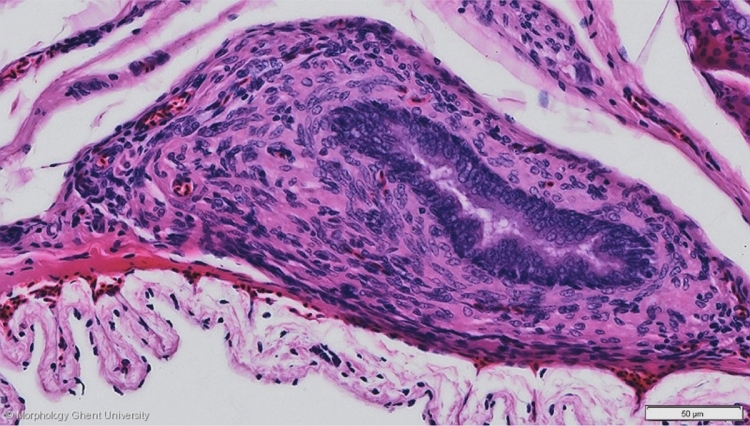 The lining epithelium is a pseudostratified columnar epithelium. At the apical part of the kidney, the ductus deferens together with the ureter run embedded in kidney tissue.